After the death of a loved one, people are often left in solitude to mourn their loss. To early Mesoamerican civilizations, this practice would be considered disrespectful. Rather than perceiving death as something morbid, it was simply considered another step in each person’s journey. Día de los Muertos, or Day of the Dead, is a celebration that dates back to pre-Hispanic times where Mesoamerican civilizations would hold a month-long celebration as a tribute to the goddess of death (later known as La Catrina) and to those who had passed. With colonization came change, and the month-long celebration was shortened to a mere three days, from Oct. 31 to Nov. 2. These dates were meant to coincide with Catholic celebrations brought by Spaniards. Now, Día de los Muertos is often only celebrated on Nov. 2, with preparations done in advance. Día de los Muertos became a tradition in which these two cultures collided into a celebration of life and an explosion of color. It is a tradition that’s been upheld for thousands of years and is still evolving, with variations of the celebration from family to family. But, ultimately, Día de los Muertos is about remembering our loved ones— it is a celebration of their life and their significance to the world. It is believed that the souls of the deceased can travel on Día de los Muertos to meet with their beloved family once again. This is why certain rituals are made in order to compel their souls to make the journey. In other instances, rather than building an altar at home, many families do so at the cemetery where their loved one was buried. They will stay throughout the night and build a path of cempazuchitl flowers so the the soul of the deceased can pass through and visit them, at times bringing live mariachi or other types of music to make the long night more bearable. 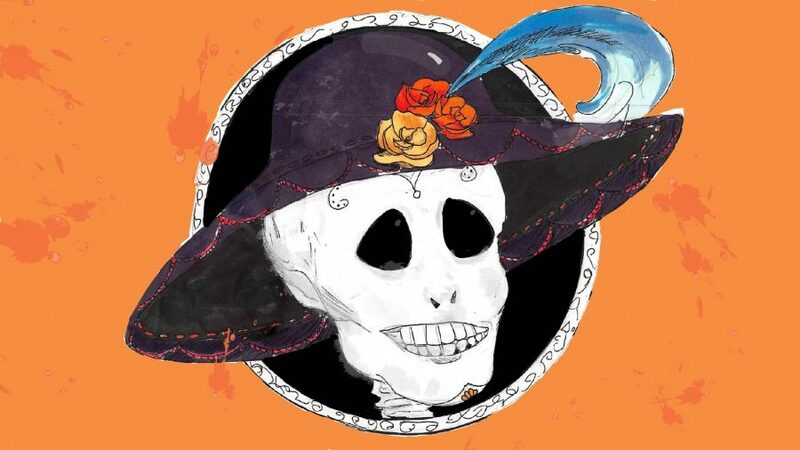 In cities in Mexico, and in cities around the world with a large Mexican population, parades and festivities are held in which colorful Mexican clothing is worn alongside elaborate face paint made to resemble skeletons, such as La Catrina. People unite to see traditional Aztec dances, eat authentic Mexican food and remember their loved ones. All of this is done in hopes of being reunited with the deceased. In recent years, Día de los Muertos festivities have become increasingly popular around the world, specifically in the United States. Hellenbrand, whose family does not celebrate Día de los Muertos, is still able to enjoy the multitude of colors and unique events, such as “[seeing] the altars and seeing those who have passed away [and] knowing that they’re remembered,” she says. Juana Vega, one of Foothill’s counselors, celebrates Día de los Muertos because it is part of her culture and it is a way in which her “two young girls [can grow up] knowing their culture, their roots, and where they came from,” Vega says. It is important to remember that Día de los Muertos is an actual tradition that runs deep in Mexico’s cultural roots and should be appreciated and respected. As beautiful as the colors and decorations may be, it is important to remember that Día de los Muertos is significant to the lives of many people around the world. One must be conscious and not intentionally appropriate the traditions of someone’s culture because it is extremely disrespectful to those who celebrate it. By deliberately disrespecting a tradition, you are not only offending one person, you are offending the culture as a whole.